Email Marketing for Lawyers 101: Why Email Marketing? This post is an excerpt from a free ebook from JurisPage on email marketing for lawyers, containing a comprehensive look at email marketing. It discusses everything from the basic question of “Why should you consider email marketing?” to specific email marketing strategies. It discusses the more technical aspects of setting up software and creating campaigns, as well as specific email marketing tips to save you time and effort. At JurisPage, we’ve built out extensive email marketing campaigns. We’ve learned what works and what doesn’t work. This post shares the knowledge we’ve gained. Hopefully, we can save you some time and help you avoid some of the common pitfalls and traps that would otherwise waste your time and money. 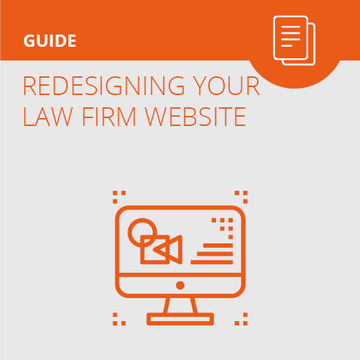 No use reinventing the wheel – take what we’ve learned and found success with and save time when working on your law firm’s email marketing campaign to get going in the right direction. 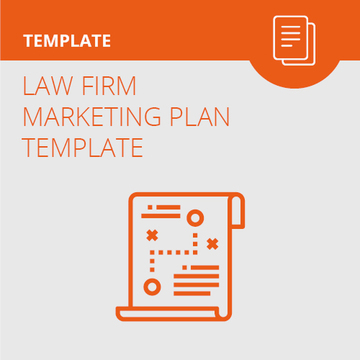 Why should you think about email marketing in your law practice? First, email marketing can get you more business. Email marketing helps you stay top-of-mind with your recipients and subtly (or not-so-subtly) encourages them to send business your way – whether it be via referring friends/colleagues/family to you, or by encouraging your email recipients to hire your firm. An easy way to have better customer experience is to integrate email marketing into your firm operations. With email marketing, you can automatically send follow-up emails to potential and current clients. It allows you to touch base and keep up communication. As you probably know, poor communication is the single most-common ethics complaint lodged by clients against their lawyers. Automatic email follow ups can be sent to potential clients who have reached out to inquire about your services or schedule an appointment. Or, it could be to let current or inactive clients know that you would like to check-in with them and get feedback. Follow-up emails show your recipients that you care about their business. Though many businesses use automated emails like this to ensure a great customer experience, it’s not yet a common practice among law firms. Having automated follow-up and appointment reminder emails can keep you engaged with prospective clients. It can also ensure that they show up to your meetings (I don’t know if that is a concern for your firm, but many firms have high appointment no-show rates). For too many firms, there is very little process in lead nurturing. What happens at your firm after a prospective client reaches out? For most firms, the next move is to qualify the lead as a real potential client, then get them in for a consultation and convert them into being a client. But, if the prospective client does not follow-up with the firm, often the firm loses track with the prospective client. The burden falls to the potential client to stay in touch, and that required effort makes it much more likely to result in the potential client not hiring a firm. Email marketing can help you keep the prospective client engaged. As mentioned above, automated emails can ensure that prospective clients are kept on to their appointments. But, beyond that, if they have yet to commit to scheduling an appointment, you can use automated email sequences to further educate and nurture them to get them to set an appointment. Educational emails can let them know about your firm’s experience, answer common questions that prospective clients have, and email and follow-up to ask to schedule a call. The goal for lead nurturing emails is to get these prospective clients to take steps towards hiring your firm, whether it’ scheduling an initial call, or following up with you after an initial consult to affirmatively hire your firm. The beauty of lead nurturing emails is that they are an easy way to engage with prospective clients who could otherwise fall through the cracks. Last, email marketing is an extremely inexpensive form of marketing. SEO and paid advertising can be more expensive and labor-intensive propositions. Certainly, they can pay dividends when executed properly. But, for a law firm without a significant marketing budget, email marketing helps you build more business without incredible expense. All you need is email marketing software, which doesn’t cost a lot, and contacts to email to, which you should already have from the course of running a law firm. Getting each of these elements right is a necessity. If you don’t use email marketing software, you may find that your regular work email gets blacklisted and does not reach your intended recipients. If you don’t have a quality email list, all your efforts will be falling on deaf ears. If your content is not compelling, no one will take the action you want. And more. Download it today, and take the first step towards growing your practice!